An extraordinary Imago Mundi Exhibition will open at the Bosnian Cultural Centre in Sarajevo on May 9-28, 2017. 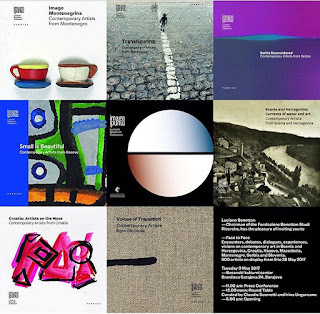 Featuring 900 artists in seven Imago Mundi Collections from former Yugoslavia: Bosnia, Croatia, Kosovo, Macedonia, Montenegro, Serbia and Slovenia. Artist Zoran Poposki is featured with the mixed media painting on canvas Crisis, commissioned by the Luciano Benetton Foundation for its Imago Mundi Collection. More about the exhibition on the Google Cultural Institute.